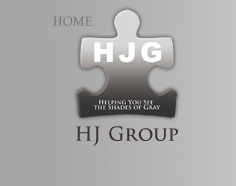 Dr. Joe Greenholtz is Managing Partner of the HJ Group, which consists of Platinum Rule Diversity Consulting and HJG Language Solutions. Dr. Greenholtz is an adjunct Professor of Education in the Department of Educational Studies at the University of British Columbia. He has taught intercultural communication in both Canada and Japan for many years, and has an extensive list of publications and presentations in cross-cultural communication and acculturation. Dr. Greenholtz has been administering the Language Proficiency Interview (also known as the Foreign Service Interview or FSI) since 1985. The LPI has been used to assess practical speaking skills in the US Foreign Service and the Peace Corps for over 50 years. It is also the scale underlying the TOEIC computer-based speaking test. In addition to his academic background, Dr Greenholtz has spent half his adult life in Japan - both as an 'expatriate' with Matsushita Electric Co., Ltd. (Panasonic) and the Canadian Embassy, and as a 'local'. Fluent in Japanese and married to a Japanese spouse, he has seen and lived Japan from every angle. Dr. Greenholtz has been in management positions in the private sector and academia, and has extensive experience in dealing with government ministries and the bureaucracy. Greenholtz, J. and Kim, J. (2009). The cultural hybridity of Lena: A multi-method case study of a third-culture kid. International Journal of Intercultural Relations. 33(5), 391-398. Kano, S. (2008). Kiss All the Boys Vol. #01. (Adapted and translated by Joe Greenholtz). Deux Press. Torrance, CA. Tokyo: DH Publishing, Inc. / cocoro books. Greenholtz, J. (2008). Unearthing hidden issues in workplace diversity. International Journal of Knowledge, Culture and Change Management. 8(8), 45-50. Greenholtz, J. (2008). Validity Issues In Translating Instruments Across Languages and Cultures. VDM Verlag Dr. Müller Aktiengesellschaft & Co. KG. Saarbrücken, Germany. Greenholtz, J. (submitted). Evaluating programmes of Inclusive Post-Secondary Education: Literature review and analysis. Intellectual and Developmental Disabilities. Mosoff, J. M., Greenholtz, J., Hurtado, T. and Jo, J. (2007). STEPS Forward: Inclusive post-secondary education for young adults with intellectual disabilities. Greenholtz, J. (2006). Enseignment socratique pour disciples de Confucius. Avantages et pièges d’une année à l’étranger. Idioma 18, 101-110. Greenholtz, J. (2005). Does intercultural sensitivity cross cultures? Validity issues in porting instruments across languages and cultures. International Journal of Intercultural Relations, 29(1), 73-89. Greenholtz, J. (2003). Socratic teachers and confucian learners: Examining the benefits and pitfalls of a year abroad. Language and Intercultural Communication, 3(3). Greenholtz, J. (2002). Escape from Alcatraz: Breaking away from the ESL island in E. Papatzikou Cochran (ed). Case Studies in TESOL Practice: Mainstreaming. Alexandria, VA: TESOL. 103-115. Heine, S J., Lehman, D.R., Peng, K., and Greenholtz, J. (2002). What’s wrong with cross-cultural comparisons in Likert scales? The reference-group problem. Journal of Personality and Social Psychology, 82. 903-918. Greenholtz, J. (2000). Assessing cross-cultural competence in transnational education: The Intercultural Development Inventory. UNESCO: Higher Education in Europe. XXV, 3. Greenholtz, J. and McMichael, W. (1996). Academic Writing (writing textbook for use in conjunction with pre-departure orientation for the UBC-Ritsumeikan Academic Exchange Programme). Greenholtz, J. (1997). The sky's the limit in Meyer, D.J. (ed). Uncommon fathers: Reflections on raising a child with a disability. Woodbine House. Seattle, WA. 1988d: Discussions in Business Instructors' Guide. Greenholtz, J. 2010. Making the Most of Board Diversity. Vantage Point (formerly Volunteer Vancouver). Vancouver, BC (September 22).